BitTorrent is used by millions of people every day, including people who work at major Hollywood studios. Those who are said to be suffering the most from online piracy are no stranger to sharing copyrighted files themselves. New data reveals that employees at Paramount Pictures, Warner Bros., Disney, Sony Pictures and 20th Century Fox are openly pirating movies, games and other forms of entertainment while at work. While Christmas is a time for sharing there are certain files that some people believe should be excluded from that experience. For more than a decade the MPAA has waged war against “thieves” who dare to share their movies online. Online piracy is costing the creative industries billions of dollars in lost revenue, they say. The Hollywood group is therefore one of the main facilitators of the “six strikes” copyright alerts plan that will begin in the coming year. The main goal of this plan is to educate members of the public about piracy, and point them to legal sources. However, new data uncovered by TorrentFreak shows that the MPAA might want to start in-house, as plenty of copyrighted material is being shared by employees of major Hollywood studios. With help from BitTorrent monitoring company Scaneye we found that BitTorrent piracy is rampant in Hollywood. Let’s take a look at some of the files these Hollywood studios are sharing, starting with Paramount Pictures. Keep in mind that what we show here is just a small fraction of the files that are actually being shared. It’s the tip of the iceberg. Static IP-addresses registered to Paramount were associated (e.g.) with the downloading of a wide variety of content as can be seen below. The indie production Battle Force was one of the movies shared, as well as the Lionsgate film The Hunger Games. And what about Happy Feet, a movie distributed by competitor Warner Bros? At Warner Bros. BitTorrent is also used by many employees. Here there appears to be a particular interest in adult entertainment. The Expendables 2 is also among the titles that were downloaded via Warner Bros. IP-addresses. 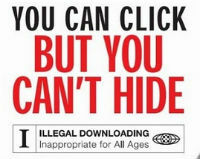 This is not without risk, as the makers of the movie are known to sue alleged BitTorrent downloaders. Moving on, we see that Sony Picture employees are sharing games, TV-shows and movies at work. The list below includes 20th Century Fox’s Ice Age: Continental Drift, and an episode of Top Chef. 20th Century Fox employees appear to be sharing the least out of all studios we checked. We only found three titles: the independent film Jeff, Who Lives at Home, an episode of 90210 and the Ubisoft game Hollywood Squares. Disney is the last studio we checked out, and even at this mighty copyright icon employees are carelessly sharing files on BitTorrent. Fast and Furious 6, for example, and the TV-shows Person of Interest and Downton Abbey. The above is no surprise of course. Last year the now defunct website YouHaveDownloaded already revealed that BitTorrent is used at virtually every company. That said, it never hurts to point out that Hollywood isn’t without ‘sin’ when it comes to piracy. The MPAA and others lobby very hard for anti-piracy measures, but can’t even stop piracy in the offices of their own member studios. Finally, we want to point out that we also “caught” BitTorrent Inc. sharing several files on BitTorrent. Interestingly enough, these files were all legally distributed with permission from the makers. c There are 179 comments. Add yours?